Gabby Luvs......: I'm a sneaker head! Replaying and Replaying Nevershoutnever's new album "Harmony" on Myspace because as we know Gabby loves him and his soothing voice! Anyway, who loves sneakers? Like i'm a girl but when it comes 2 sneakers i could care less if they were meant for boys. 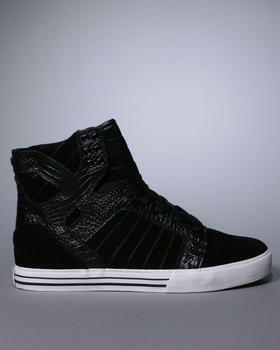 One of my favorite brand of sneakers is Supra, EVERYONE needs 2 have a pair of supra sneakers if ur a sneaker addict like me. 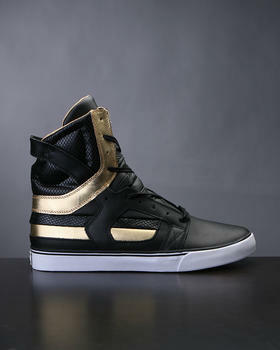 This is my Dream sneaker xD Ahh i want it!!!!! Bet u guys do 2! 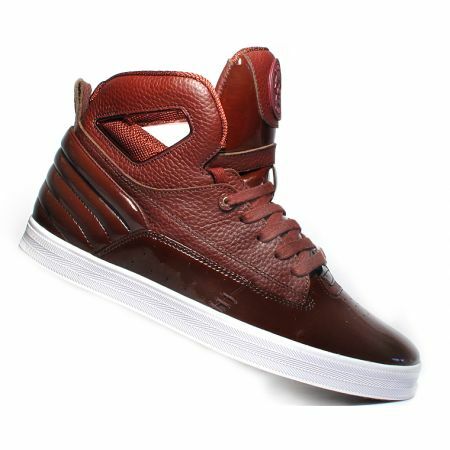 I think this one is super dope, just because i don't have red sneakers! Good job Diggy! I love every type of sneaker and i don't care about the brand, point is if u make dope sneakers u will have a customer in Gabby xD Converse, vans, adidas, i LOVE them all because when ur a sneaker addict u love dope sneakers =) It's a rainy day in New York today, so i'm gonna stay in and chill, listen 2 music, watch youtube ya know the regular. Tell me in the comments what sneakers u guys like! I love the tv and the tv loves me! A look inside Gabby's head! OMG ITS A G.A.B. DAY AND A BDAY 2! Oh So You Think You Can Dance Huh?